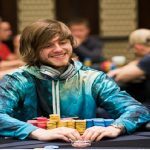 Bryn Kenney of United States takes down $50,000 High Roller of PokerStars Bahamas and pocketed a huge $969,075 for that.Italian Mustapha Kanit becomes second and pocketed $695,740 from this particular High Roller. 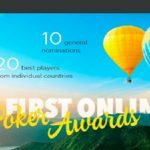 The Championship took place on January 9, 2017 and it attracted 69 entries (including 20 re-entries) from players of around the world including most of the top such as Byron Kaverman, Dan Colman both of United States, Stephen Chidwick of UK who busted to fifth place for $265,040, Spanish Sergi Reixach and Cary Katz of United States. 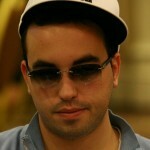 Bahamas is turning out to be a great place for the US poker pro Bryn Kenney. 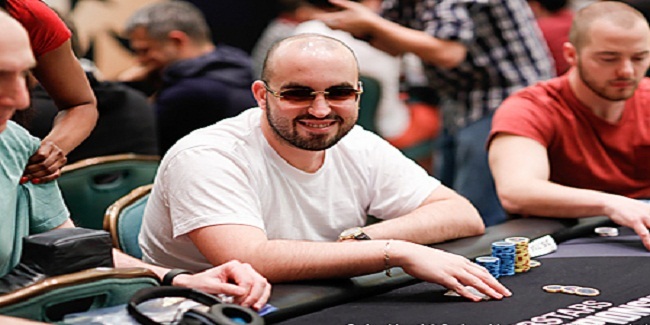 He was the $100K buy-in High Roller champion last year, when he pocketed over $1.687 million as winning total. 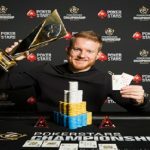 He was at the final table of $100K High Roller just a couple of day ago, where he placed at seventh place for over $275K, and here in this $50K tournament he topped the field and defeated Mustapha Kanit in a heads-up round. Total prize pool for the championship was $3,313,035, which was distributed among top 20 finishers of the game. First elimination from the final table was of a US Poker pro named Cary Katz, who made $96,080 from the table and booked at Ninth position. Canadian Daniel Dvoress becomes eighth position holder in the game for a winning total of amount $125,900. Spanish Sergi Reixach got out to seventh place at level 19 and the Blinds 30,000/60,000 (10,000 ante). Kanit played well and Reixach got busted for $162,340. Next man to go out of the race was Ben Tollerene of United States who made $205,400 for sixth place. Fifth, fourth and third places of this $50K High Roller goes to players from United Kingdom and the USA and they were Stephen Chidwick for ($265,040), Dan Colman USA ($341,240) and Byron Kaverman of USA for $452,220. Two player named kenney and Kanit remains in business, until Bryn Kenney wins $50K single day for $969,075 at Level 23 – Blinds 80,000/160,000 (20,000 ante).